Managing Inventory, billing and accounting can be clumsy at times and may require more than one brain working round the clock to achieve efficiency, but to achieve more efficiency will require just one application. 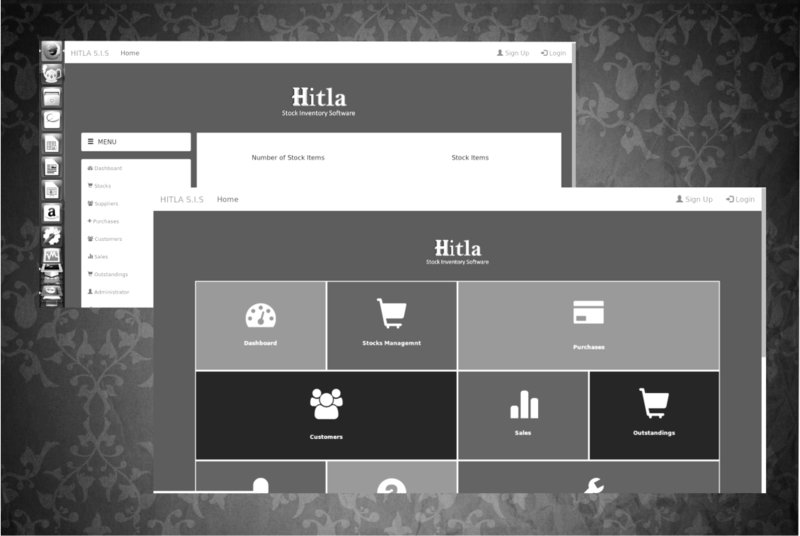 In our quest to bring development to our world, Greenhouse Multimedia presents Hitla – a retail management system that actually does more than retain management. 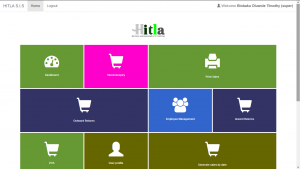 Hitla has a nice look and feel interface that manages stock, purchasing, sales, suppliers, customers, outstandings, and payments. Hitla is NOT an experimental software, it has been tried and tested and is currently in use by one of Delta’s biggest supermart – TIVO SUPERMARKET with a lot of testimonies attesting to the fact that Hitla solves all the problems they encountered while using other retail management/accounting software which is not a surprise because in developing Hitla we took note of all the pitfalls of similar software especially as it pertains to our environment, our people and our conditions. One of the primary benefits of using Hitla is that all retail operations occur in the same technology footprint – allowing the retail to run the business end to end with one system, and making information easily available so the retailer has visibility on how the business is doing across all function. With a web base application the retailer is able to access this critical data in real time from any web device (smart phone, tablet, laptop etc.). For example Hitla tracks and reports on the entire lifecycle of an item in one system. From its start as part of an initial purchase order, to its receipt in the store or warehouse, using the customer relationship management functionality the retailer then can see who purchased the item and what they purchased alone with it-and many other important data points. Hitla helps the organization analyze the current market demand of products or items so that they can correct policy decisions which ultimately leads to growth of an organization, It also reduces the tension of retailer making orders of goods or item when a product reaches its low level of stock. Hitla is a very robust application with several features – designed to solve any problem that you can encounter yet we are still ready to include any feature at your request – once you can imagine it, we can create it. Different categories of users with different privilege e.g Accountant privilege different from Manager’s, different from Cashier’s with password change and reset function. A dashboard that can put the figure right in front of your face. Real-time performance data can be used to optimize trading, inventory allocation and staffing. A well detailed inventory showing stock items, automated bin card, stock daily sales report, stock balances report, suppliers and purchases with all accompanying record which is very easy to query. Centrally manage all your employees right from the corporate office. Perform cashier analysis, loss prevention, and more. With our customer metrics, you can track your most and least profitable customers and see what their buying habits are and give them customized rewards based on their purchase history. Automated emails and text messages can also be sent to customers where their contact is available. Sales reporting and analytics functionality allows you to capture and analyze your store’s sales data. Not only does this automatically keep track of what’s selling well, it also shows how much revenue you’re making on each product. This allows you to identify and focus on driving sales to your top money-making items. This contains Financial/Accounting reports: Profit/Loss Account, Trial Balance, Balance Sheet, Daily Audit Trail, manages accounts payable transactions, bank reconciliations, and fixed asset depreciation. Tight integration between your cross-platform sales channels and accounting provides the opportunity to import full transaction details to create an audit-able record of purchase histories. The ability to document assets and liabilities, as well as expenses and revenues in your general ledger is a key component of Hitla. The retail industry faces some challenges when it comes to payroll and HR. Retailers generally have relatively high turnover rates. Consequently, the importance of quickly setting up payroll and HR information is amplified. An even commission calculation capability is an important part of the payroll module. This service allows you conveniently switch attention to another customer without disrupting the sales of the first customer. This is a database that effexts corrections to the inventory when a returns is made by a customer. This effects the neccesary changes when returns is made from the supermarket to the supplier. Hitla has a database that includes Bar-code of all items in the store, which can also be used in tracking and for sales. Data from Hitla can easily be exported to Excel, Word, CSV, XML, PDF, HTML, Email formats and are printer friendly. Our application also come with Cloud services (if you choose this feature) and has Mobile Responsive Designs so that your Manager can access everything happen while he is outside the store from his mobile device or tab anywhere in the world. The Help system contain in our application is designed to give you straight to the point solutions for your enquiries. Pop up notifications to alert you when changes are been made on the system. Hitla comes in very user friendly interfaces so that you have a very seamless time acclimatizing to it. Our Prices are very competitive and will be determined by a lot of internal factors like the size of your stock.